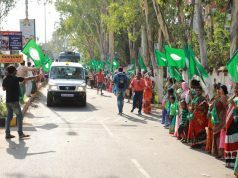 Bhubaneswar : Due to maximum focus on Paddy cultivation, the focus on other crops have been reduced in Odisha and currently we have to depend on other states for several agricultural products. While our farmers are struggling to increase their income, we are buying from other states. We cannot double farmer’s income without focusing on other crops like pulses and horticulture as well as value addition of the produce, said Sourav Garg, Principal Secretary, department of Agriculture and Food production, government of Odisha. Inaugurating the workshop on climate resilient value chain development of Mango and Arhar he recognized the chaos caused by climate change. However, he was quite optimistic to highlight preparedness of the government in creating resilient seed infrastructure, resilient infrastructures for storage and transports, improvement in contingency planning and promotion of climate resilient crops to better adapt to climate change. The Climate Change Innovation programme (CCIP) funded by Department for International Development (DFID), UK has been working in partnership with the government of Odisha since 2014 to integrate climate change into policies, plans and budgets. It also aims to contribute to Odisha’s capacity to attract and leverage climate change related investment. The stakeholder consultation was organized on Climate Resilient Value Chain Development with the Department of Agriculture and Farmers’ Empowerment, Govt. of Odisha, for a deeper understanding of the context, opportunities and challenges for climate change governance in Agriculture in Odisha. Introducing the project “Adapting to Climate Change in Agriculture: Climate Resilient Agriculture Practices” MD CTRAN Dr Ashok Singha said that the project intends to strengthen the capacity of the Agriculture Department to design, and disseminate climate resilient agriculture practices and value chains of mango and arhar through extensive handholding support for design and training at various stakeholder levels both within the government and at the farmer level. He also pointed out that climate change could reduce annual agricultural incomes in the range of 15% to 18% on average, and up to 20% to 25% for un-irrigated areas. 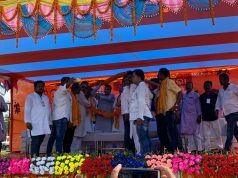 He said that it is possible to increase the income of the farmers in field crops like pulses by 5-6% and in fruit crops by 9-10% in Odisha if they are sensitized properly. Dr SS Dey, MD APICOL highlighted various government schemes for value addition in Mango and Pulses. Dr M Muthukumar, IAS, Director Agriculture and Food production highlighted the strategy the government of Odisha is adopting to reduce post-harvest loss and increase the income of the farmers. Mr S Kar, Dy CEO ORAMAS highlighted challenges in marketing of agricultural produces. DGM Nabard, Mr P K Mahapatra highlighted various aspects of value chain financing in mango and their successful initiatives in FPOs and WADI programmes. He urged the entrepreneurs/start-ups to come forward and avail the finance inn attractive terms. About 10 participants from the industry, farmers, academics, media personnel, civil society organizations, and bankers attended the event. 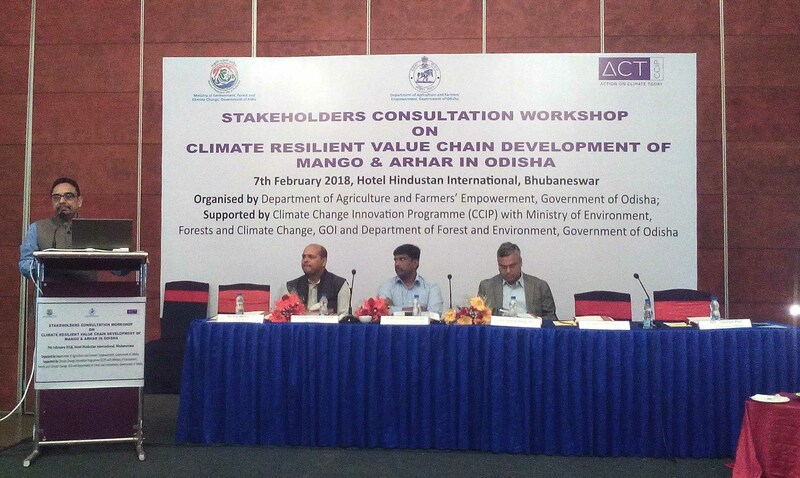 Mr Soumik Biswas of DFID-CCIP offered vote of thanks and hoped that this stakeholders’ consultation workshop shall help in formulation of an ideal operational strategy for overall development of mango and arhar value chain in Odisha.